brian had the good idea awhile ago that we could try our hand at growing pawpaws here. it seems it could work. with lots of hope, we're going to order 4 pawpaw trees. we're going to get the following varieties: sunflower, wells, ksu atwood, and the susquehanna. we'll make a post once we have them (of course), but in the meantime keep us in mind when you cross your fingers. we'll need all the finger-crossing we can get. ...also, we have an idea that maybe we'll try growing a pomegranate tree too! it seems that we could just move it inside when it starts getting too cold outside. but how cool would it be to have our own pomegranates! and then a 5-6' pomegranate tree inside during the winter. 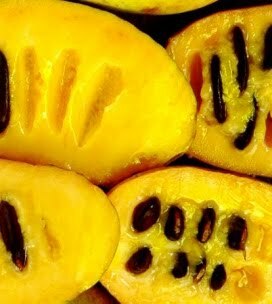 life would be almost too sweet if we could have our own supply of pawpaws and pomegranates. on president's day, w and i went sledding at a nearby park. then all three of us took a drive to a part of utah we've never been to. it was an interesting drive-adventure. we saw a pronghorn antelope, desert scenes that when you covered the mountains flanking your view looked like summer, some very small towns, a neat small-town cemetary, a look at iosepa (that included some potshards and no l&l bbqs), a first-time visit to tooele, some interesting views of the great salt lake, a drive through a native-american reservation called skull valley, and a walk in thigh-deep snow (that part of the drive didn't seem very summer like). on tuesday, we went to w's blue and gold banquet. w earned his wolf award, and i got pinned. 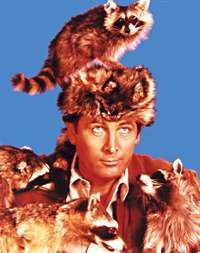 on friday and saturday we watched two more installments in the disney davy crockett movie archive. william likes the movies a lot, but i have to admit that b and i are both pretty big dc fans too. up to this point, i think davy goes to congress is my favorite episode. the guy who plays him is such a cool-hand...he doesn't play dc as a tough-guy, burly mountainman. at first that surprised me, but now it just seems right. also, he looks a lot like jimmy stewart. so davy going to congress seems a little like mr smith goes to washington. on saturday, i took willy sledding again. this time is was a bit colder, but he had a good time. he also built a snowman. if it needs to snow in the valley in february (which, really, it does need to), then at least you can enjoy the snow. at times the snow on saturday was a bit crazy. i went for a run in the midst of the crazy-heavy snowfall, and i could hardly see. but, the run ended at the di, which made it all worth it. davy crocket is willy's new big thing. we've watched a few of the 1950s disney show/movies. it's obvious why he likes it (it seems to be made entirely for young boys to enjoy). one thing i like is imagining my parents as kids watching these episodes on the weekly disney show that used to air back then. i'm sure my parents watched some of these episodes, if not all of them. also, the previews shown along with the davy crocket episodes are great. we watched one last night of the 1953 disney christmas special, which was themed around a mexican christmas idea. w is also in to walking around the neighborhood with his new boy scout pack on. he loads it up with things and then goes over to a friend's house or walks up to the mountainside. he loves that new pack. i wonder if he'll like it as much once it gets put to some real use...say going on long hikes in the high uintas! in-n-out burger is one of the most unimpressive dining experienes i've ever had. all you ever hear about in-n-out burger is how great it is (especially from californians) and all you see around here are the long lines of people waiting to get their not-so-fast fast food. we went to the local in-n-out burger for william's birthday. i wouldn't say i had high, high hopes for the meal, but i did have expectations. but the experience was plenty lackluster. 1. it took awhile for our food to get to us. although i do have to admit that we didn't have to wait in line long, and the guy who took our order was nice. 2. there weren't any places to sit. we couldn't all three sit at a table together. 3. you had to order many of what i consider normal hamburger items separately (the pickles for instance). that's not a big deal, but if you don't know that you'd end up with a sad burger. 4. the hamburger was fine, but not great. i didn't think it tasted special at all. 5. and the fries! the fries were tiny and had very little flavor. of course, you always eat fries with ketchup, but they didn't taste good. i think just about every kind of fries i've had before in my life have tasted better than those fries. so, as wyclef would say "don't believe the hype" about in-n-out. i really can't see why it's so popular. the only thing i can think of is that for those who grew up in california, it's a nostalgia thing (like how adults look back fondly on favorite childhood foods: mac n' cheese or something like that). and for those who didn't grow up in cali, i have no idea. we celebrated william's 9th birthday recently. it's hard to believe he's 9 now! it was a weekend full of festivities. below is the run-down of events. we had a friend party at the bowling alley. william likes to bowl, and it was a good time...although a little crazy with 7 boys. they were also ansey to play the arcade games right next to the lanes. i'm not a big fan of arcade games, but we gave each kid a little money to play. then we served pizza, pop, and cinnamon rolls. honestly, the cinnamon rolls were good (what beats homemade cinnamon rolls?). william also opened presents and cards. all-in-all, it was a good party. we also had a family get-together. it was a nice low-key time. we ate dinner (lassagna) and dessert (brownies) and sat around and chatted. william and two of his cousins played. it was really nice. then on the actual day, we went out to in-n-out burger and opened presents. some of william's biggest presents were a nice lego set (from grandma and grandpa roberts), money (from grandma leslie), an old-timey boy scout hiking backpack, and a 4' long stuffed tiger. below are some pictures of the fun. 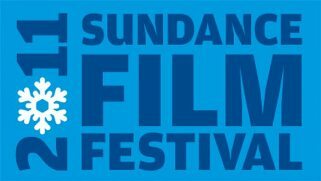 on monday, i got a call from a friend who invited me to go up to sundance to see the best documentary of the festival. i was so excited. i mean, how fun to go up to see a sundance movie at sundance, and to see one that's great. on top of that, it's one i had heard about and wanted to see. the movie was called "how to die in oregon." it is a documentary about the physician-assisted suicide law in oregon. it showed up the lives of people who work to support this law and several individuals who decided to use the law to die. it was a sad, real, and moving movie. to say you enjoy a movie like this doesn't feel right. but it was a good movie, well done. one of the most difficult parts for me was watching one of the main women in the movie get sick and progressively get worse from her liver cancer. the end result was going to be liver failure, which was what my dad dealt with. it was difficult to watch her go through many of the same issues my dad went through. but, even despite my crying during the movie, i am very glad i got to go. watching the movie reminded me of how hard it is to deal with the death of a loved one. but it also made me aware of how strong people are who do. it made me so proud to think of my mom and how gracefully she's dealt with the loss of my dad. it was cold up there when the movie was over, but the roads were clear, and it was nice to be in the mountains/canyon. we don't really go up into the mountains much in the winter. so it was very good to see them again, up-close. maybe winter won't last forever.